Altoids have been freshening bad breath since the turn of the 19th century. But while they are touted as “Curiously Strong Mints,” perhaps the real curiosity is not the allure of the mints themselves, but the popularity of turning the tin in which they’re packaged into all sorts of truly handy, and just plain fun, creations. 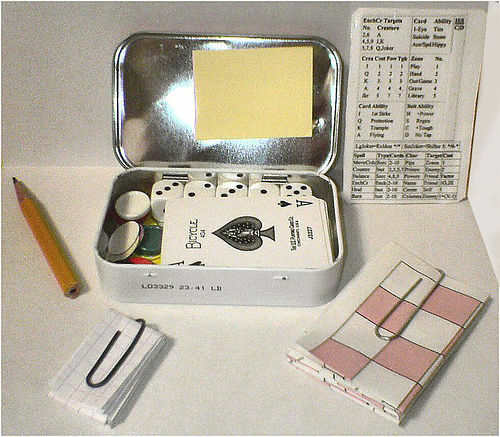 The draw of the transformed Altoids tin, like the draw one feels towards, say, a secret book safe, is hard to put your finger on. Part of it is the satisfying challenge of fitting as much as possible into a small space. Part of it is the delight of being able to carry something cool in your pocket. Of course much of the appeal can be found in the enjoyment of tinkering and working on a diy project. There is also the satisfaction that comes from reusing an ordinary object for something else entirely. Grandpa’s old motto of “use it up, wear it out, make it do, or do without” still resonates. 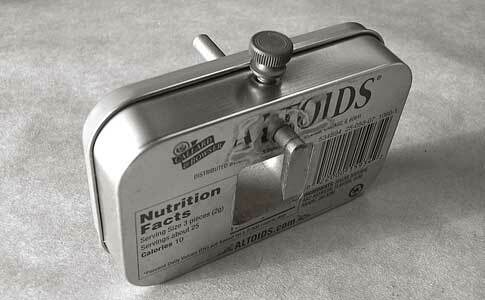 Any way you slice it, beholding the creative uses for an Altoids tin simply brings a smile to your face. 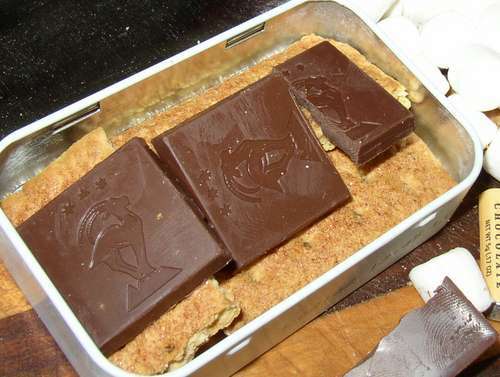 So we searched high and low and put together this list of 22 manly ways to reuse an Altoids tin. You can make some of these things for yourself, or use the list for cheap and unique gift ideas. You never know when a bear is going to claw you in the face while you have him in a half-nelson, so it’s best to keep a first aid kit on hand at all times. This one is small enough to sock away nearly anywhere-a pocket, a backpack, your car, your European man purse-wherever. See here for another view of the kit and the details of its contents. When you’re making fire the traditional way, such as with flint and steel, you want to make sure to catch your hard earned spark in something that will turn it into a real fire. What you need is an easily combustible piece of tinder. Enter the char cloth. 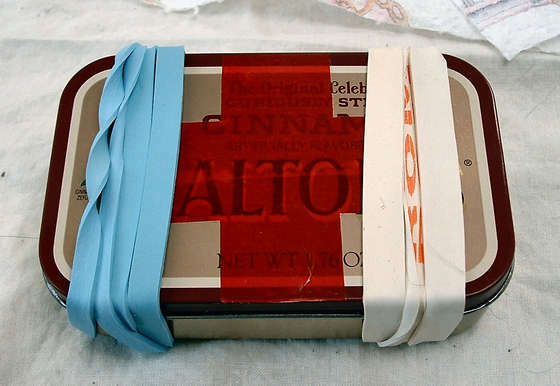 They’re easy to make-just put strips of cotton fabric in an Altoids tin, close the lid tightly, make a hole in the tin, and place it in a fire to cook. We’ve all been unexpectedly stuck somewhere-say the airport or inside a tent on a rained out camping trip-and found ourselves bored out of our minds. Sure you could zone out from your companions and play Angry Birds on your iPad, but why not get everyone involved in a good old fashioned game instead? For analog gaming on the go, stash an Altoids games chest in your bag. 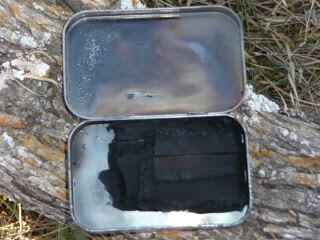 For details of this tin’s contents, see here. When Popular Woodworking Magazine held a contest challenging readers to make tools out of Altoids tins, this design came out on top. It’s a working router plane, a tool used by woodworkers. The tool is especially nice as the thumbscrew and iron are stored within the tin. If Frank Sinatra had been a poor drifter, this is how he would have made his martinis. 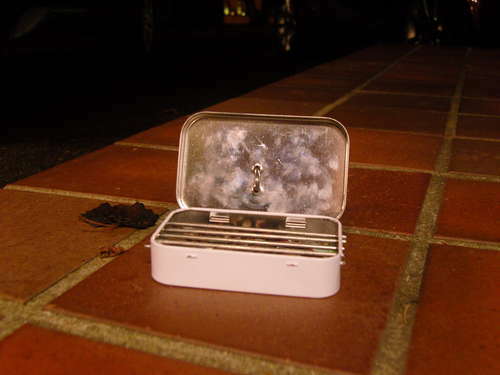 Ring a ding ding in an Altoids tin. 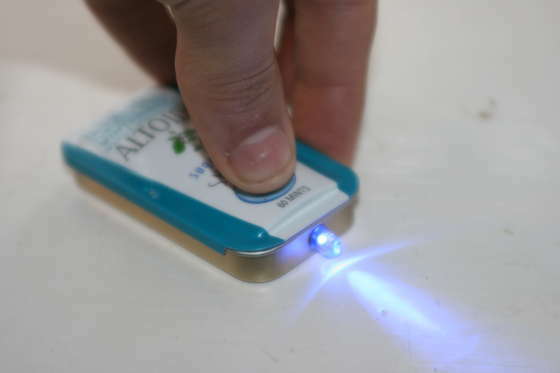 A mini flashlight you can carry in your pocket wherever you go. This idea, thought up by Nick Brenn, is so popular that Edmund Scientific now sells a kit for those who don’t want to be bothered with gathering and buying the necessary parts themselves. For the more enterprising, the full instructions for this diy project can be found here. Perfect for life as a hobo; just throw the mouse you caught in your boxcar on this portable grill. Dinner is served! Using a valet is an effective way to keep track of the contents of your pockets; at the end of the day, deposit your keys, coins, watch and so on, and you’ll know right where to pick them up the next morning. 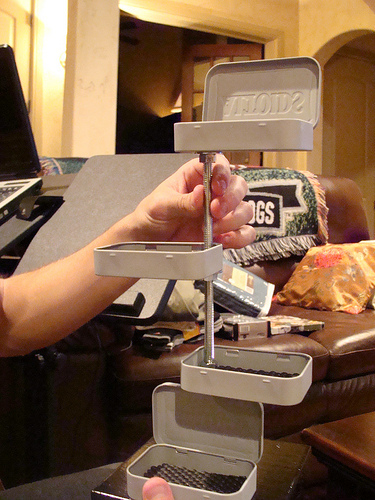 Dshouppe made this Altoids tin valet for all the young men in her life. She painted the tins, drilled a hole through them, stuck a threaded rod through the holes, and used nuts and washers to hold the tins in place. The tins were lined with a piece of black rubber–the kind you can use to open a jar–cut to the size of the tin’s bottoms. This served to protect the items which would be placed inside them. Finally, a piece of wood was used at the bottom to hold the threaded rod in place. 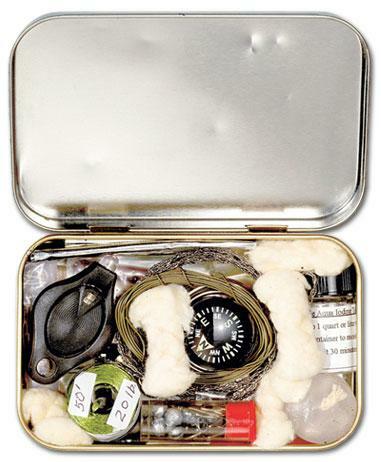 Turning an Altoids tin into a survival kit is hands down the most popular Altoids project of them all. There are tons of variations out there, with each assembler arguing the merits of including this or that item. For my money, the guys at Field and Stream have put together the best one. Just stick a survival blanket in your pocket and you’re prepared for almost anything that might befall you in the wild. Have an annoying co-worker? Soak your dart with a tranquilzer, casually remove this Altoids tin from your pocket, offer him a mint, and then-boom!-shoot em right in the neck. Then steal his sandwich. The idea behind the pinhole camera is actually quite ancient and can be traced all the way back to the 4th century BC. 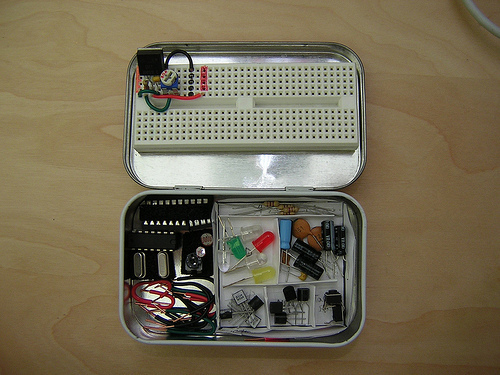 To make one, you need a light-tight box, and an Altoids tin fits the bill nicely. A fire starting kit includes the essentials for creating a flame in any condition, such as weatherproof matches, ferrocerium rods, petroleum jelly, cotton balls, a magnifying glass, and tampons. Yes, tampons. 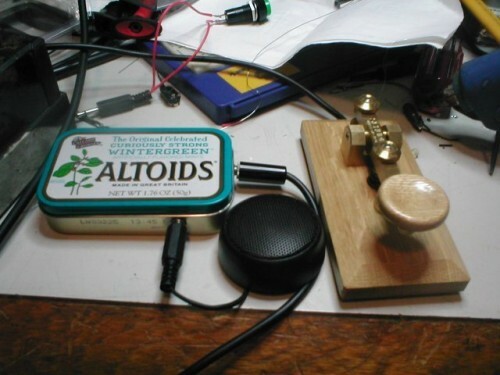 Nginuity on the Hack Gadgets forums built a Altoids Can Morse Code Oscillator. Why an Altoids can? According to the creator, “I actually use these tins a whole lot for project boxes that involve radio frequency, and also things that may need somewhat of a precise Crystal reference, because the metal does a very good job of shielding the circuit from stray RF, which can get kind of nasty when you work with microwave technology (or, more importantly, keeping out all of the 2.4GHz signals in the neighborhood from getting into a tiny High Frequency mixer, etc).” So yeah, I’ll just take his word on it. ?2006 L. Laughy, Ninth Wave Designs: Used with permission. Harness your inner Thomas Moran with this watercolor set in a can. Whether you’re sitting on the banks of a lake or staring out the window of a coffeeshop, you never know when inspiration will strike. 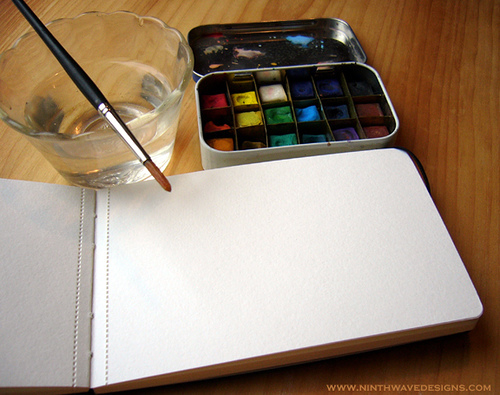 So carry this tin along with Moleskine’s watercolor notebook, and you’ll be ready to paint a masterpiece wherever you go. The watercolor kit in the photograph was created using brass strips to divide the half-pans of watercolor. For other ways to make one, see here and here. 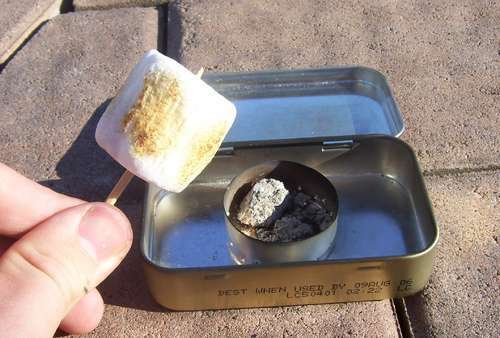 Alcohol stoves are a favorite among minimalist backpackers and vagabonds of all varieties as they’re simple, lightweight, clean burning, and best of all, cheap and easy to make yourself from things like, well, an Altoids can . 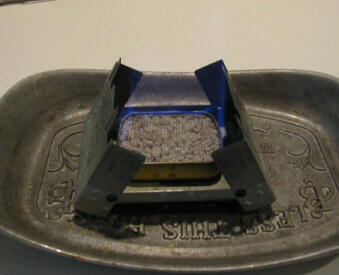 You can build one with a built-in pot rest, or use it as the fuel source for an Esbit stove, as is shown in the photograph. Here is a great way to recycle the remnants of candles you, or perhaps more likely, your lady friend, have lying around the house. The tin holds a candle along with matches and strikers. The candle can be used in an emergency, such as when your car gets caught in the snow; lighting a multi-wick candle in your car can keep you from freezing for several hours. City dwellers have a different set of needs from those heading out into the wilderness. 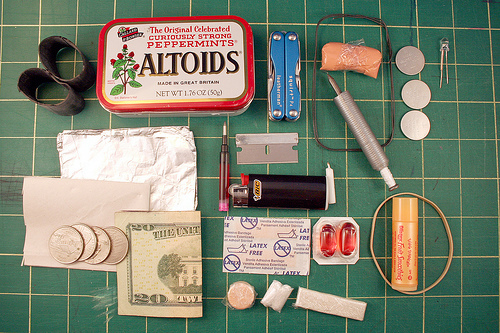 The Urban Survival Kit includes items for problems more annoying than life threatening. Obviously, you can exercise your creativity here in filling the tin with things you personally need to survive the urban jungle. Details on the contents of this tin can be seen here. Huck Finn fished with just a stick and a string. 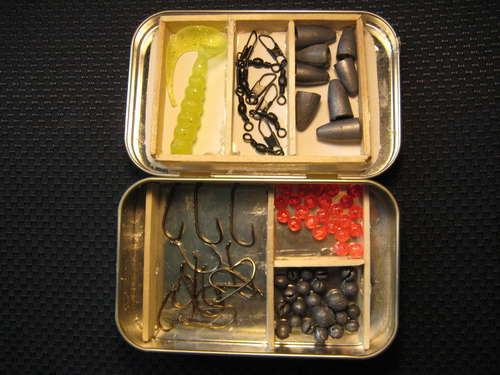 So while having a full-sized tackle box is nice, it’s certainly not necessary. Especially if you’re going backpacking and want to try your hand at catching your own dinner along the way. It’s an Altoids tin. That shoots fireballs. What more do I need to say? 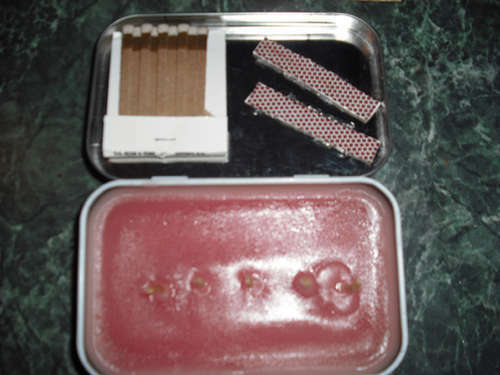 Have any more ideas on how to reuse an Altoids tin? Share your suggestions in the comments!